antenna can be painted over to achieve a more personal DIY. 5.Reposition the antenna in a different location, such as higher on a wall or closer to a window,Facing the direction of the broadcast tower. 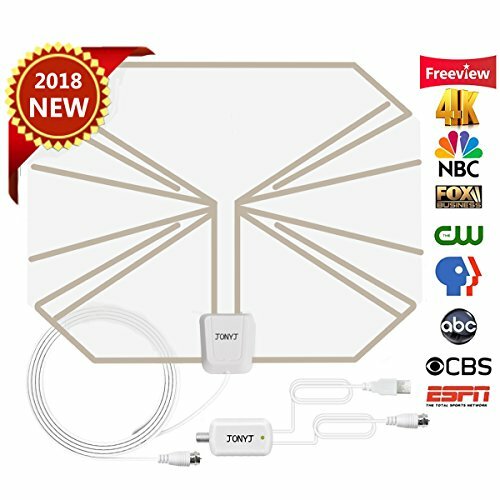 Choose the Best Antenna - P-JING Super Thin TV Antennafor your area. 【VERY IMPORTANT】: Channel reception may vary based on what's broadcasting in your area, your distance from broadcast towers, and any geographical obstructions between you and the towers. VERY IMPORTANT: This is amplified TV antenna. If a signal cannot be received with the amplifier, remove the antenna amplifier and try again.Before you buy, please check what available channels are in your area by using these websites:"antennaweb.org" or "antennapoint.com". Please contact the seller directly or choose the " products details" inquiry to contact us. If you have any questions about this product by JONYJ, contact us by completing and submitting the form below. If you are looking for a specif part number, please include it with your message.